From the rear side cover: The German campaigns in the northern theatre of operations encompassing Denmark, Norway, Finland and the far north of Russia are detailed in this long neglected account of the campaign as described from the German point of view. Out of print since the fifties, this new edition is edited and introduced by Emmy Award winning author and historian Bob Carruthers. Based mainly on original German records captured in 1945 alongside the postwar military recollections of veterans, this fascinating account encompasses the lessons and conclusions drawn from these German sources. The work of preparing this study in English, which consisted of translating basic German records and manuscripts, performing additional research, expanding and then rewriting the narratives with an eye for continuity and factual data, was done chiefly by Earl F. Ziemke under the supervision of the Foreign Studies Branch, Special Studies Division, Office of the Chief of Military History. 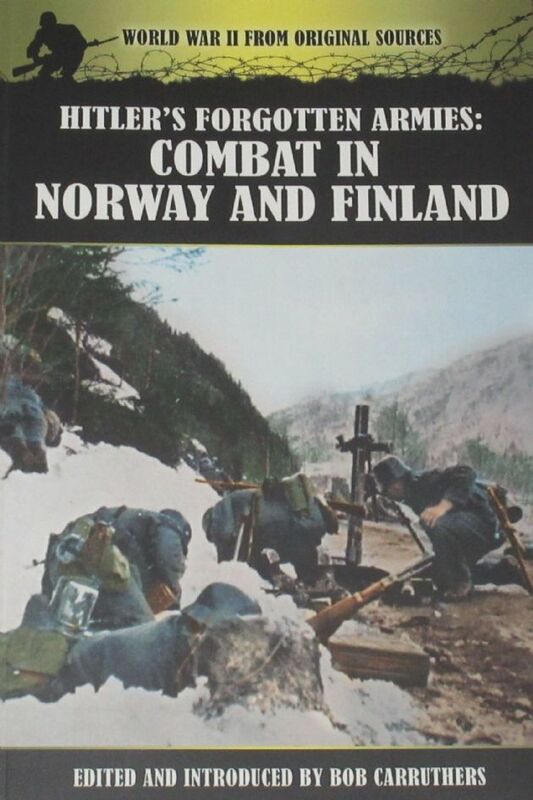 In the process of presenting the material, every effort has been made to give a balanced account of German strategy and operations in the often neglected northern theatre of operations.